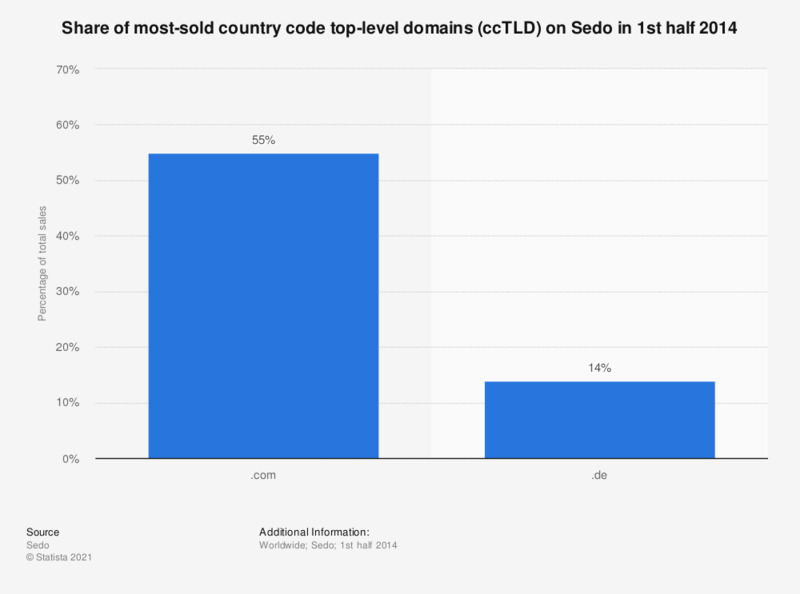 This statistic gives information on the share of the most-sold country code top-level domain sales on the domain platform Sedo in the first half of 2014. During that period, 14 percent of sold ccTLDs were .de-domains. Overall, 161 different TLDs were traded during the first half of 2014. * The data collected by the source refer to all transactions on the trading platform Sedo.